The Iowa Department of Public Health (IDPH) on Thursday said it was investigating a rise in Cyclospora infections, likely due to the consumption of a salad served by McDonald’s Corp.
Apple’s worldwide Mac shipments grew 3 percent in the second quarter of 2018 compared to the year-ago quarter, according to new preliminary PC shipping estimates shared today by Gartner. During the quarter, Apple shipped an estimated 4.4 million Macs, compared to 4.26 million in the second quarter of 2017. Apple’s market share also saw slight growth, improving from 7 percent in Q2 2017 to 7.1 percent in Q2 2018. Apple’s improved Mac sales come amid an overall increase in worldwide PC shipments, the first growth that’s been seen in the last six years. Worldwide PC shipments totaled an estimated 62.1 million units in Q2 2018, up from 61.3 million in the year-ago quarter. It’s important to note that data from Gartner is preliminary, and that the numbers can shift, sometimes dramatically and sometimes less so. Last year, for example, Gartner estimated Q2 2017 worldwide Mac shipments at 4.236 million when the actual number was 4.266 million. Apple’s Mac sales could grow significantly next quarter and through the end of 2018. Apple today introduced new 13 and 15-inch MacBook Pro models with improved processors, more maximum RAM, higher-capacity SSDs, True Tone displays, and more. The rest of Apple’s Mac lineup, including iMacs, MacBooks, and the Mac mini, is also expected to get a refresh before the end of 2018. Fans of the early-2000s era GameCube version of the original Animal Crossing likely remember the game including a handful of emulated NES titles that could be played by obtaining in-game items for your house. 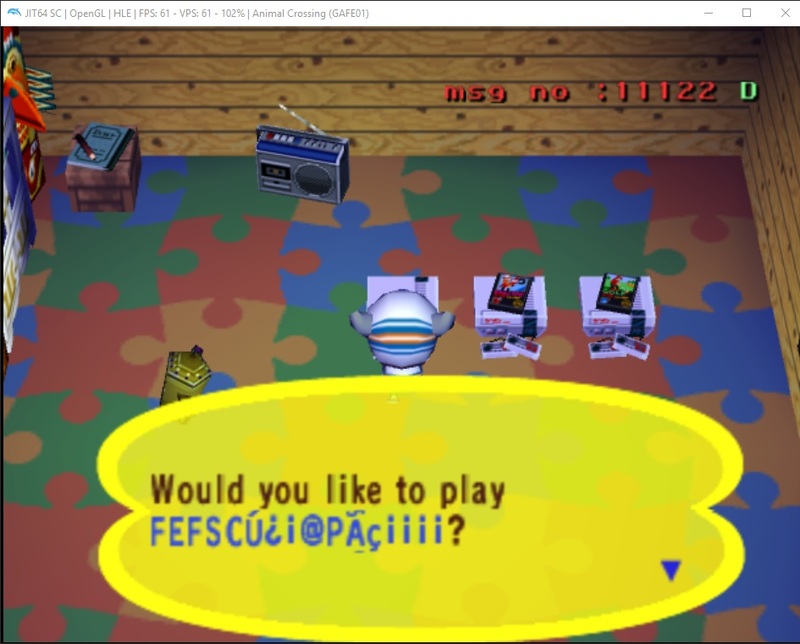 What players back then didn’t know is that the NES emulator in Animal Crossing can also be used to play any generic NES ROM stored on a GameCube memory card. The key to opening Animal Crossing‘s NES emulator is the game’s generic “NES console” item. Usually, this item simply tells players who try to use it that “I want to play my NES, but I don’t have any software” (separate in-game items are used to play the NES ROMs that are included on the Animal Crossing disc). U.S. President Donald Trump says that a soft Brexit of the type set out by British Prime Minister Theresa May last week would “probably kill” chances of a trade deal between Britain and the United States, the Sun newspaper reported late on Thursday.